Birthdays are to be celebrated as they are one of the most memorable days of your life. When you talk about a birthday the only real way to make it special and even more memorable is with a birthday party. Regardless of whether you are throwing a birthday party for your children, parents or any other person you want it to be spectacular and memorable, however to achieve this requires a bit of planning as a well planned party means that you are halfway to achieving perfection. Milestone birthdays are cause to create those really “special moments” as they only happen once in a person’s lifetime, whether it is a 18th, 40th, or even 90th birthday. Just a few ideas can turn your special birthday party into a memorable occasion or both the birthday girl or boy and the guests. Any celebration with attention to detail and the right kind of music can take the party to another level. With this in mind the following are some of the essential things that you are going to need for your birthday party. Be sure to send your invitations out to guests well in advance and ask for them to RSVP by a certain date as this will assist you with numbers. Signs and or balloons are an excellent way to direct guests. This is particularly important if the party is being held in a remote or hard to find venue. Food energies a party and all of those that attend therefore you need to start by making a list of your guests (or at least the number) and organise your food essentials accordingly. On the one hand you do not want to waste food; however there would be nothing worse than the food running out. When it comes to the actual food, you can either make this yourself (obviously this will depend on numbers, also how much space and time that you have available to you) or you can order the food in. The birthday cake will be the centrepiece of your table and as so you need to ensure that you have enough to go round. Once you have decided on the size of cake required the next thing to decide is the flavour, style of theme, this is a particular good time to take into consideration the likes and personal tastes of the party boy or girl. When ordering the cake you also need to take into consideration whether any of the guests have special dietary needs and if so and there are enough order an identical cake which is free from eggs, nuts or the specific allergen. There is a saying that a party is only as good as the music that is played, and this could not be truer when it comes to celebrating in style. Getting the music right is really important and the way to ensure that this is executed perfectly is to hire a DJ. Not only will this release you from the obligation of having to sort out the music but a DJ will enhance the mood and help people keep on dancing! There is no limit to the music a DJ can play and they can read the crowd and provide the right mix of music. An experienced DJ can deliver music at the proper volume yet being sensitive to those around you. 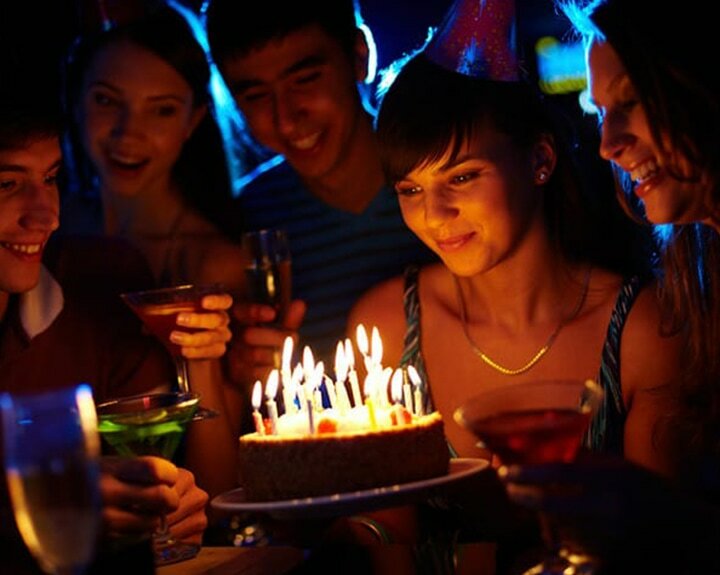 Probably the most important reason to have a DJ at your birthday is because the party is nonstop, there is no need for the DJ to take a break, as opposed to other types of entertainment that will need to take a break and the party then dies and in some instances never gets going again. The following may not all be considered essential to you, however they are worth adding to your essentials list as they are the things you are most likely to forget and be difficult to lay your hands on at the last minute. Whilst the majority of people remember the candles you would be really surprised how many people forget the matches or lighters. Another set of utensils that are easy to forget are a cake knife and server. Although it is easy to use a normal kitchen knife this can mean that the cake breaks and cannot be served as an entire piece, which is vital if the cake is to be wrapped and put in a goody bag. Regardless of whether you intend to use a traditional camera with film or a digital camera complete with memory card it is important to remember that photographs are a lifetime reminder, meaning that you will want to make sure that you do not end up short of film or room on your memory card. If you choose to opt for filming the special event then make sure that your camera is equipped with tape and fully charged if necessary. You should always make sure that you have spare dishes and serving bowls to hand just to ensure that you are covered for all eventualities. The most important part of any birthday party is enjoyment and fun, therefore if you do forget something or something goes slightly array, just take a deep breath and smile. The chances are that you will be among friends and family who certainly will not want you to be fretting because you have forgotten the sausage rolls or didn’t manage to get matching serviettes! Relax, smile and above all else be sure that you enjoy yourself on the day.